The alien world of Mer is being devoured by an evil substance known as Dark Water. Only Ren, a young prince, can stop it by finding the lost Thirteen Treasures of Rule. His loyal crew of misfits that help in his journey are an ecomancer (Tula), a monkey-bird (Niddler), and a treasure-hungry pirate (Ioz). The evil pirate lord, Bloth, will stop at nothing to get the treasures for himself and provides many obstacles for Ren and his crew. While loading food into various compartments to prepare a rocket for an upcoming mission, Barney (Chuck McCann) instructs Junior (Bob Denver) to hit the "lunch" button, but Junior mistakenly hits the "launch" button. The rocket blasts off and takes them on various misadventures on alien planets. Mr. Bumpy is a small green, purple-warted monster living under the bed of a ten-year-old boy, where he eats dirty socks and dust bunnies as if they were delicacies. His best friends are Squishington, a blue monster that lived in the bathroom's toilet tank; and Molly Coddle, a Frankenstein's monster-like rag doll belonging to the boy's sister who acts as the straight man to the other's crazy antics. Other characters include Destructo, the boy's toy robot who sees himself as a cop and persecutes Mr. Bumpy for his actions. 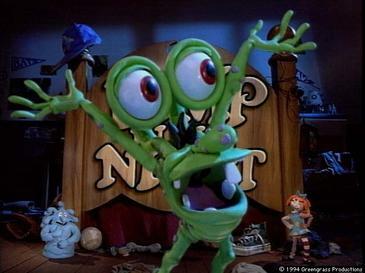 There's also the Closet Monster, who's made up of the boy's pile of clothes and chases after Mr. Bumpy. 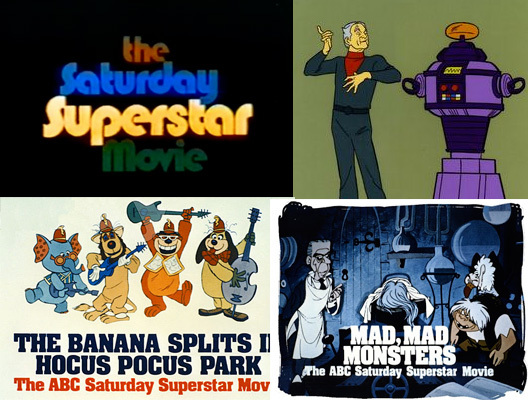 The ABC Saturday Superstar Movie — renamed The New Saturday Superstar Movie in its second season — is a series of one-hour animated TV-movies (some of which also contained live action), broadcast on the ABC television network on Saturday mornings from September 9, 1972, to November 17, 1973. 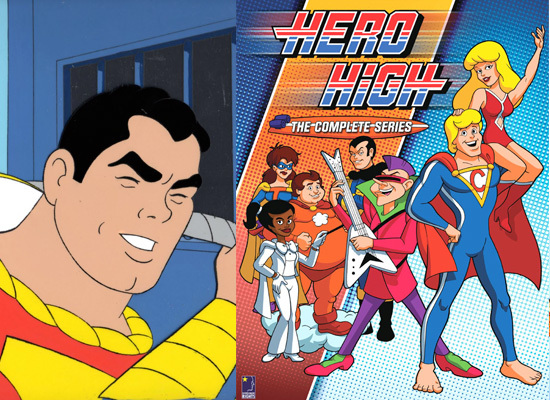 Intended as a "Movie of the Week" for kids, this series was produced by several production companies — including Hanna-Barbera, Filmation, and Rankin/Bass — and mostly contained features based on popular cartoon characters and TV shows of the time, such as Yogi Bear, The Brady Bunch, and Lost in Space. Some of the features served as pilots for new TV shows. Science teacher John Butler along with his wife Kim, their two children, Greg and Katie, and their dog, Digger, are on a rafting trip on the Amazon River. As they are going down the river, their boat hits a rock and capsizes. The family then gets caught in a whirlpool. When they surface upon going through an underground cavern, they find themselves in a prehistoric valley where they meet caveman Gorok, his wife Gara, their two children Lok and Tana, and their pet, a baby Stegosaurus named Glump. The two families soon become friends and Gorok and his family help the Butlers in their many attempts to find a way to return home while trying to survive in the valley. 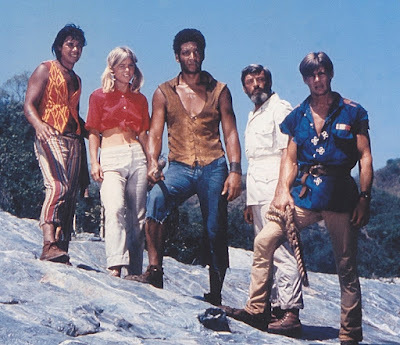 Intended as a live-action version of the animated Hanna-Barbera series Jonny Quest, Danger Island depicted the adventures of a trio of explorers in an unnamed tropical island group: Prof. Irwin Hayden, an archaeologist; Lincoln "Link" Simmons, the professor's youthful assistant; and Leslie, the professor's daughter, who serves as both a love interest for Link and the series' token damsel-in-distress. Several years earlier, the professor's brother (also an archaeologist) disappeared in the same island chain while searching for the mythical lost city of Tobanya. They are joined on their quest by Morgan, a shipwrecked merchant mariner, and his teenage sidekick Chongo, who speaks only in a series of monkey-like chatters and birdcalls. They are pursued by a group of bumbling but heavily armed modern-day pirates led by the murderous Captain Mu-Tan, and by three tribes of cannibalistic natives known as "the Headhunters", "the Skeleton Men" and "the Ash Men". The show spawned the popular catchphrase "Uh-oh, Chongo!" among children of that time. Yogi's Gang is a 30-minute Saturday morning animated series and the second incarnation of Hanna-Barbera's Yogi Bear series which aired 16 half-hour episodes on ABC from September 8, 1973, to December 29, 1973. 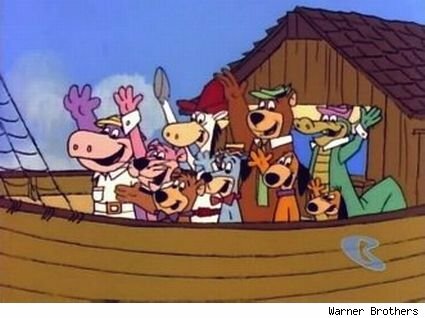 The show began as Yogi's Ark Lark, a special TV movie on The ABC Saturday Superstar Movie in 1972. Fifteen original episodes were produced for broadcast on ABC, with the hour-long Yogi's Ark Lark thrown in as a split-in-half two-parter. After a successful run on Saturday mornings, episodes of Yogi's Gang were serialized on the syndicated weekday series, Fred Flintstone and Friends in 1977–78. In the late 1980s, repeats were shown on USA Cartoon Express and later resurfaced on Nickelodeon, Cartoon Network and Boomerang. The main character was a small, grumpy wizard who put a spell of melancholy on the kingdom of the Princess Dawn. The Princess and her friend Terry Dexter (a boy from the "real" world) searched for the Cave of the Whispering Orchids to find a crystal key to break the spell, while the Grump tried to stop them. 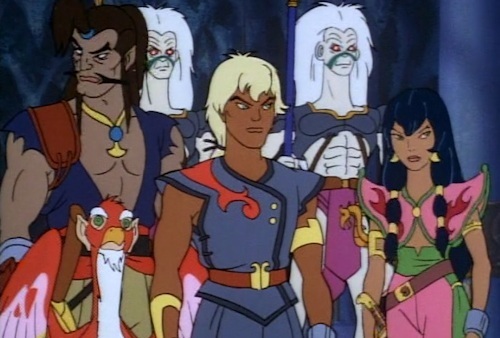 In each episode the Grump flew a dragon named Dingo, chasing Terry and Princess Dawn. This led them to bizarre places with strange characters, such as the Blabbermouth of Echo Island, where the mountains were made of living Swiss cheese. The Princess had a pet named Bip — a vaguely doglike creature with tentacular legs, that sniffed clues like a hound dog, turned around by pulling in its tail and head and popping them back out at opposite ends, and communicated in the sounds of a soprano bugle. In most episodes, the Princess and her friends traveled in a flying car supported by a big balloon. 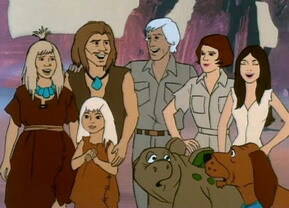 In addition to Jones's absence, David Cassidy (Keith Partridge) and Dave Madden (manager Reuben Kincaid) did not voice their animated counterparts; both parts were recast. Susan Dey provided Laurie's voice for only two episodes before she was replaced by former Mouseketeer Sherry Alberoni. Danny Bonaduce, Suzanne Crough and Brian Forster voiced their respective characters from the live action series. 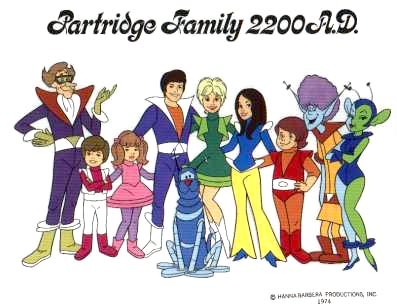 Sixteen half-hour episodes were produced for Partridge Family 2200 A.D., which lasted half a season on CBS Saturday morning (September 7, 1974 – March 8, 1975). In 1977–78, it was re-titled The Partridge Family in Outer Space when episodes were serialized on the syndicated weekday series Fred Flintstone and Friends. 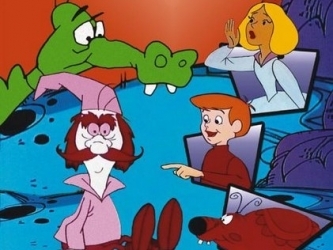 Like many animated series created by Hanna-Barbera in the 1970s, the show contained an inferior laugh track created by the studio. 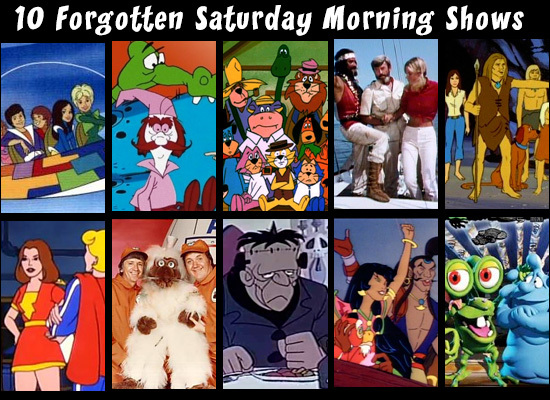 That wraps up my Ten Forgotten Saturday Morning Cartoons. What cartoons do you think I should have added? I got several emails asking about this movie - mostly from people who were excited about the trailers. On first pass, the trailers are refreshing in that they present a movie that looks to be quite a departure from the standard MCU formula (or perhaps it's more of a distillation of that formula.) Still, a couple more viewings of the trailer didn't show me anything that really needed to be seen on the big screen, so I'll probably wait until it's available for rental. How do I think it will do? Hard to say, but early reviews of the movie are surprisingly good. However, I might suggest that most of the favorable reviews start with either a base of Not Your Typical Marvel Movie (like my reaction to the trailer) or True To the Character and build from there. That being said, it does look it will be a modest hit among its target demographic (Fans of the Deadpool comic and/or Van Wilder - which is probably a redundant statement.) I'm going to guess this makes something in the 40 - 50 million dollar range on the first weekend. Pros: It may encourage movie studios to experiement with different types of superhero movies. Also, let's pray to hell Deadpool doesn't carry a boombox in the movie. 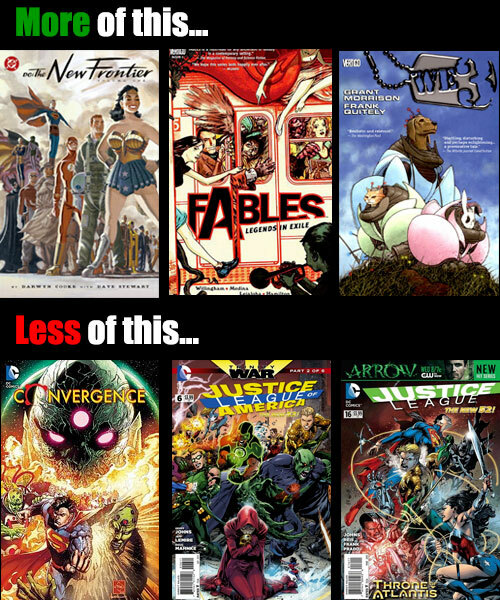 Back in December, I suggested 2016 could possibly be one of the worst years for Big Two comics and so far it looks like we are right on track for that to be true. 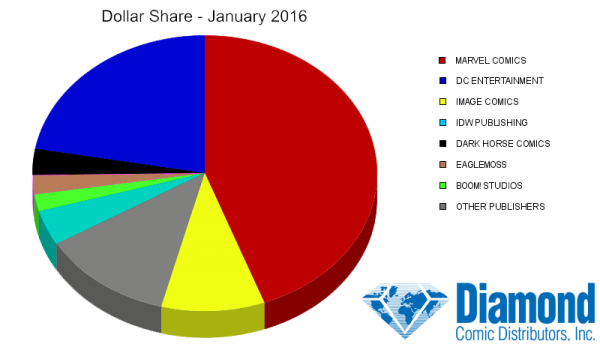 First DC has announced a publishing realignment (or something) to tie their comics closer to their television/movie properties which is now sort of looking like an Ad Hoc Reboot according to Bleeding Cool. 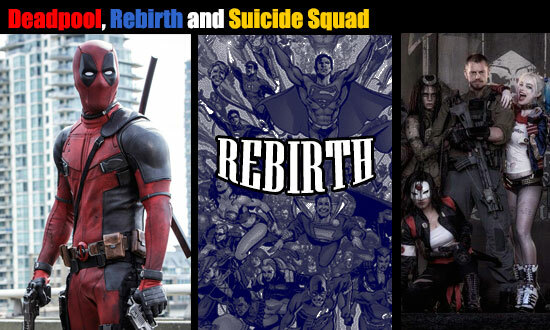 I don't think Rebirth is going to change things short term. Based on emails I've gotten and talking to various comic shop owners, there aren't a lot of DC customers excited about Rebirth - just the opposite in fact. Many shop owners are reporting people coming in and cancelling all DC comics. I know that's sort of always the plan they hope for, but let's see if they get closer to the pin this time around. With its new, more fan aligned, portrayal of Harley Quinn and bombastic Queen accompaniment, the new Suicide Squad trailer seems to be doing quite a good job getting fans excited about the upcoming August movie. Here's what's interesting - currently, the HD version of the trailer is up to 36 m(illion) views on YouTube after just two weeks. On the flipside, the HD version of Captain America 3: Civil War is only up to ~6 m views. That's after two months. 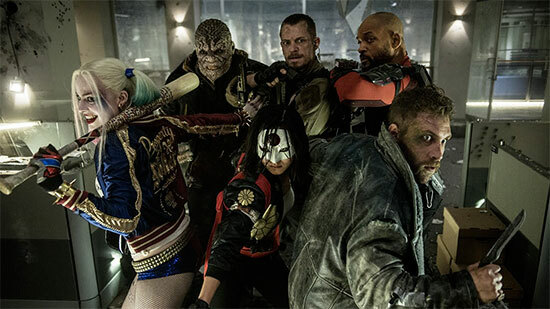 Clearly, more people are interested in watching the Suicide Squad trailer. I think that may also something about either peoples interest in each movie OR how Warner Bros found a way to get the word out on their HD clip more effectively than Disney. It also might be due to the order in which the clips were released as the non-HD version of CA:CW has ~44 m views. The non-HD Suicide Squad trailer which only had 12 m views after 4 days but seems to have been removed. 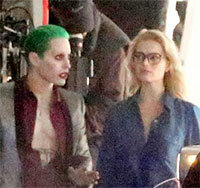 I also think the addition of more Joker and Harley scenes in the SS trailer may be driving more traffic. Also the write ups on various sites seem very enthusiastic which is a better inducement to clicking the video to watch it than the various "...here's a condensed version of how Civil War played out in the comics.." write ups the Cap trailer got on a lot of sites. I like the trailer. On one hand, I think whoever put it together gets what made the Guardians of the Galaxy trailer so successful, but I think it's actually a good bit better than the GotG trailer. (I think I'm prejudiced because I like the song choice better.) I also like how they integrated the song with the trailer better, stopping and starting it at key points. They also do a nice job with introducing each member of the movie (but here I would say GotG was a little more effective as the intro to each character was a bit clearer/direct. The voice over in the SS trailer seemed harder to follow. Overall, I was jazzed to see the movie before and this trailer just increased my eagerness.